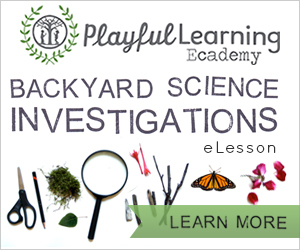 Free Webinar from The Nature Kids Institute | E-Corps Expeditions Inc. The three secrets to get kids to put down the iPhone and UNPLUG without a fight! How technology can help to strengthen our relationship with nature without robbing the outdoors of its magic. How to get kids outside and engaged in nature programming on their own terms! I will also share and rank my top 10 favorite apps for exploring the great outdoors! This webinar is limited to 200 participants and it will fill quickly. If you haven’t already, hop on over and sign up. There will also be an extended Q&A session at the end of the program so come prepared to participate. I can’t wait to see you there!